Use the form below to send us a message and we will get back with you soon. Ostertag Farm - 2 1/2 Miles North of US Rt 40 on Easterday Road. This is about 15 minutes west of Frederick and 15 minutes east of Hagerstown. 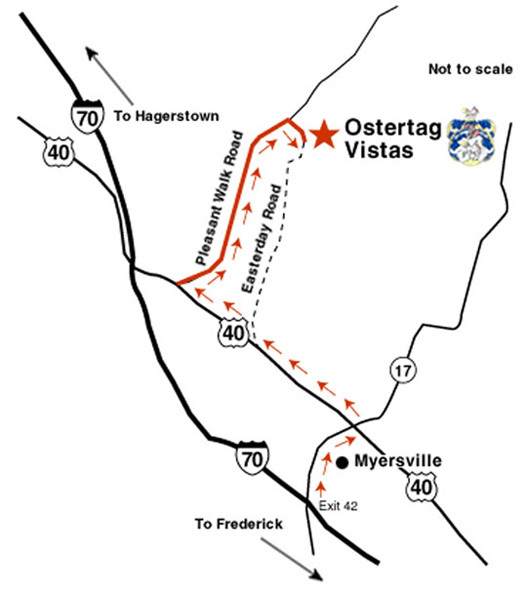 Turn left at the entrance sign of Ostertag Vistas.